The political situation in Karnataka got heated up as the elections are nearing by. Popular actress and wife of late actor Ambareesh, Sumalatha had expected a ticket of Mandya constituency, from Congress. But Congress, which is in alliance with JDS, gave the ticket of Mandya to Nikhil Kumar, son of Chief Minister HD Kumaraswamy. Upset with this, Sumalatha has decided to contest independently. Interestingly, the actress is now getting support from all the corners of the Southern film industry. A few days back, hero Yash of KGF fame said that he will support Sumalatha’s decision. It was even reported that Superstar Rajinikanth and Mohan Babu will campaign for her. 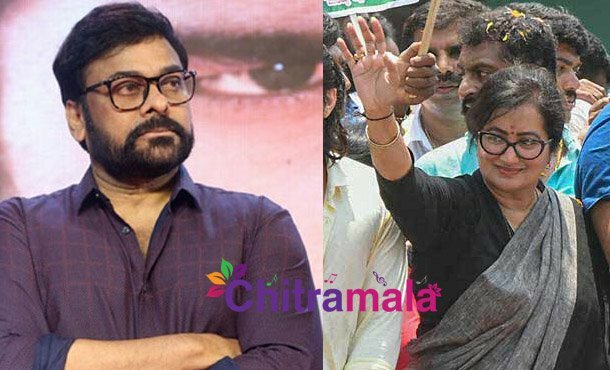 Now, we hear that Megastar Chiranjeevi is gearing up to campaign for Sumalatha. Chiru is a member of Congress but he is not politically active anymore. Thus he decided to campaign his friend, says the sources. Even the public has sympathy over Sumalatha, considering that she lost her husband recently.